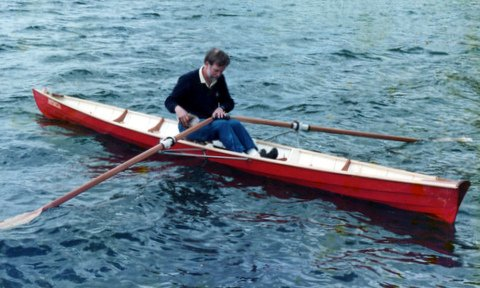 These handsome, practical row boats were routinely built by Nova Scotia shipwright, Jim Smith in six days, painted and ready for the water. 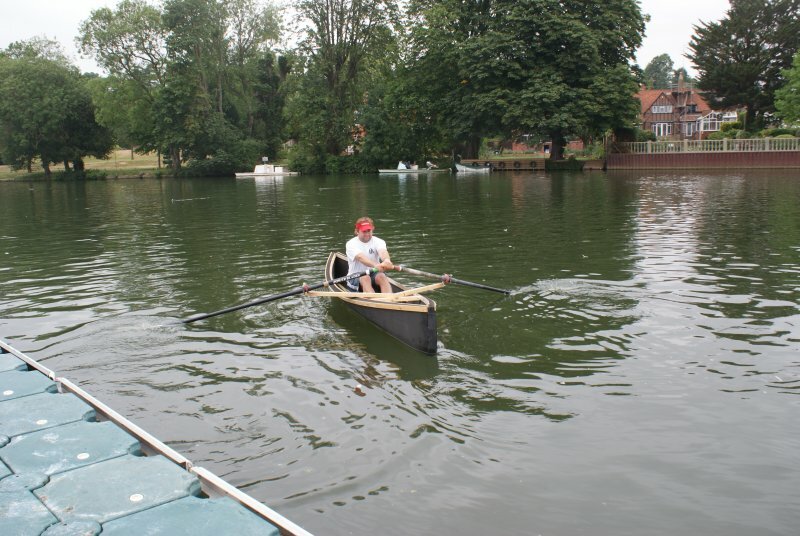 Lapstrake is a forgiving building method. 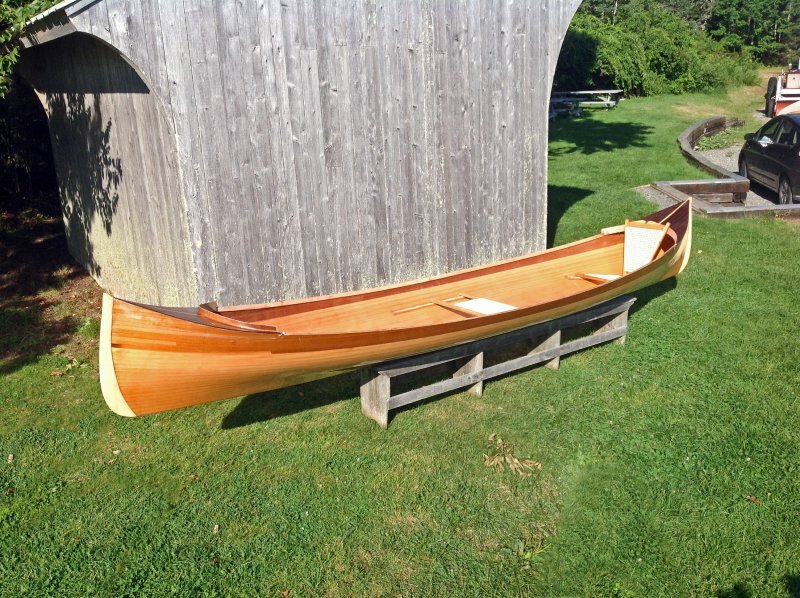 The overlapping spruce planks allow for a little error when installing, which gives the classic canoe an extra layer of peace of mind when you’re on the water. 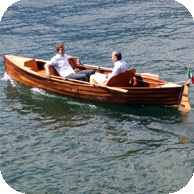 The Noank Pulling Boat is an 18′ x 36″ [5.5m x 91cm] sliding seat rowing boat suitable for open water travel. It has two large floatation chambers that can store a massive amount of gear if you should wish to go for an expedition. 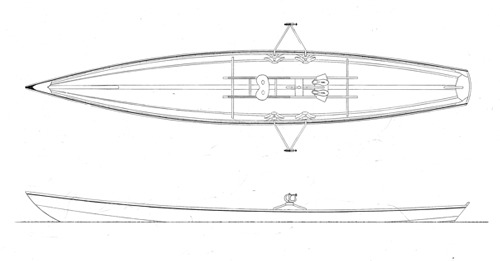 10′ x 3′8″ Double Ender Dinghy. 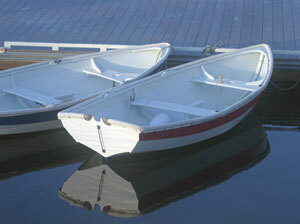 Designed for paddling, rowing or sailing and for construction in laminated wood or fiberglass. 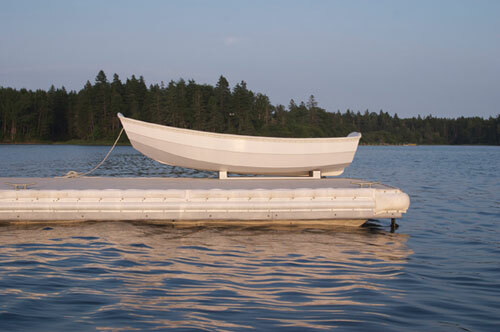 Able to carry on car top as canoe or on boat deck as yacht tender. 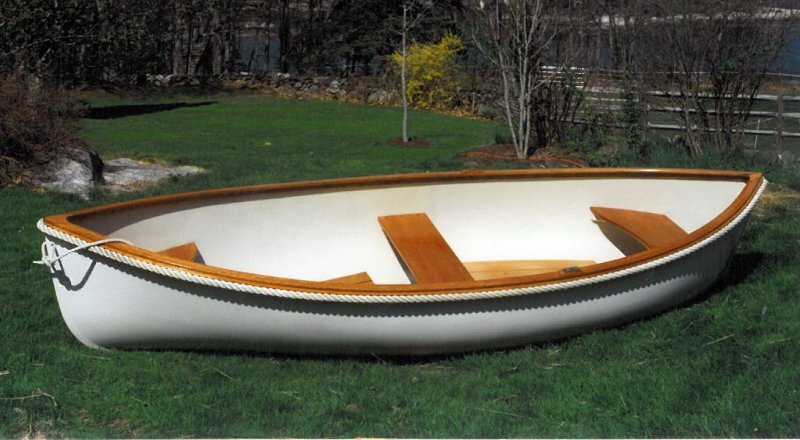 This is a design for a basic hull made from one piece of closed cell foam 1m x 4m x 50mm thick. The trade name is Plastazote and there is a distributor in the USA. Our pre-cut kits have been cut by computer-guided routers to provide you with extremely accurate parts. And, the kits come with just about everything needed except the elbow grease. 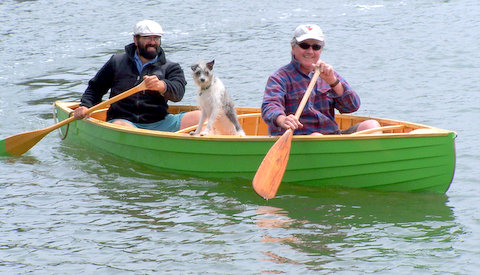 An entry-level sliding-seat pulling boat. Provides rewarding speed in an easily built hull with enough stability to keep a beginner out of trouble. Construction: Plywood. No lofting is required. Plans include 5 sheets. 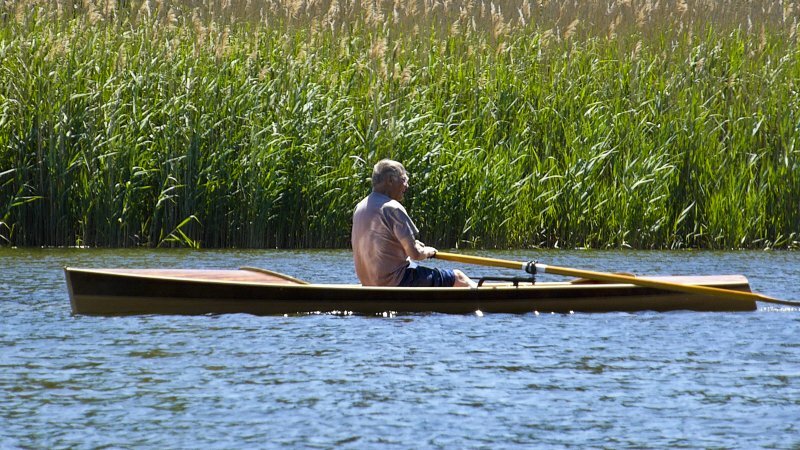 Lightweight, reasonably seaworthy recreational single with a sliding seat and outriggers. 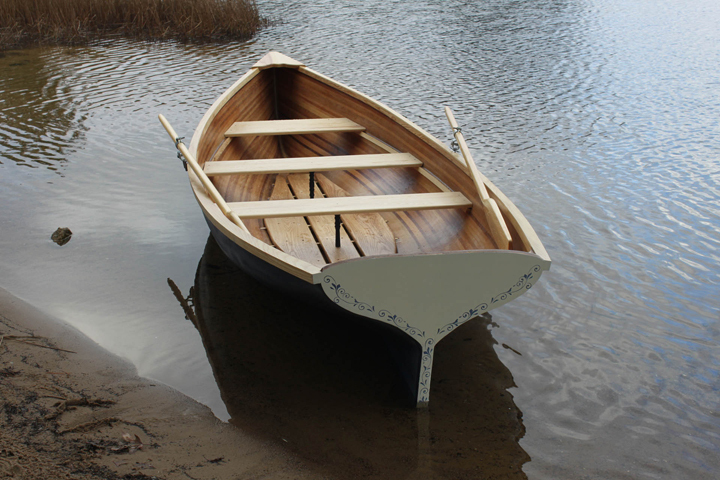 Norwegian-influenced rowing/sailing craft designed for glued-lap plywood construction. 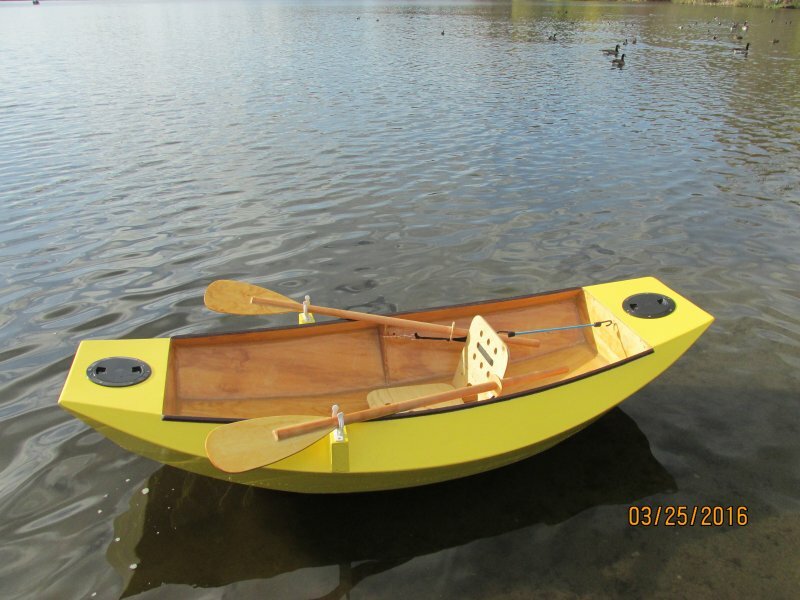 V-bottomed single shell with sliding seat, outriggers and light plywood construction. Construction: Plywood planking over bulkhead-type frames.